CNR Music Spain, a division of Arcade Music Company. Spanish branch. 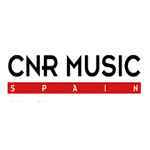 Use CNR Music (Spain) as label if related logo appears printed on products. Arcade Music Company España, S.A.